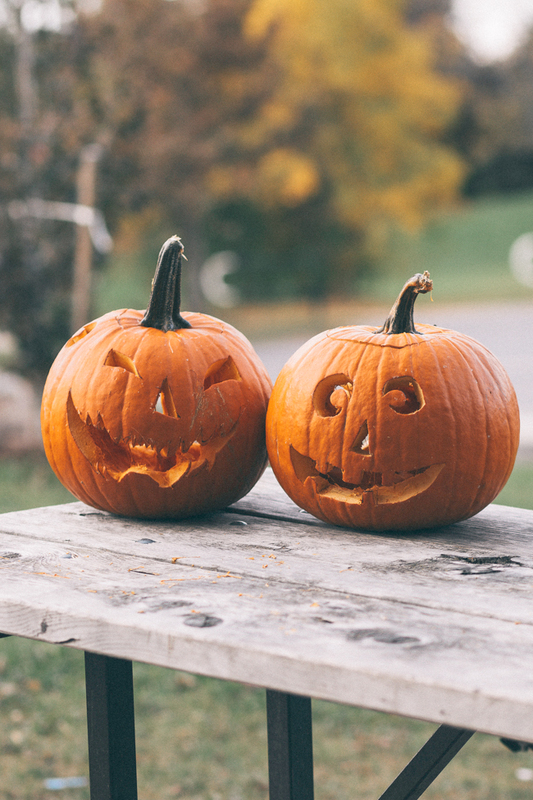 It's no secret that I love Halloween and all things spooky year-round but since it's officially the season I wanted to share some of my favorite films, tv shows, and podcasts that are perfect to indulge in at this time of year. Some of these are classics that I'm sure you've seen or at least heard of, and some are a little bit more obscure or have a cult following and maybe you haven't. Les Yeux Sans Visage - A newer favorite of mine, you may have heard of this film with the English title Eyes Without a Face. If you haven't, this is a black and white French horror film from 1960. It was originally released in the U.S. in 1962 and was dubbed in English (although I recommend the original French version). It's the story of a girl who was disfigured in a car accident and her plastic surgeon father who is determined to give her a face transplant. While this could have easily been just another "mad scientist" flick it transcends that. The film is absolutely stunning to look at and has this dreamy, nightmare poetry element that is simultaneously beautiful and horrifying. The House on Haunted Hill - My favorite Vincent Price film, the story follows an eccentric millionaire who invites guests to stay the night in a haunted house as a party for his wife and offers them all $10,000 if they can stay the night. It's a little campy, but gosh I love it. Halloween - I'm talking about the first and original John Carpenter film from 1978 here, not the other 87 of them. The camera work is really great and it's just a classic perfect for this time of year. The Innocents - This is another black and white foreign film from the 60's, although this one is in English if you're not into subtitles. Based on The Turn of the Screw by Henry James, the film is creepy and atmospheric without relying on gore to shock you; something that is lacking in most horror movies today. They're making a new version of this film called The Turning with Finn Wolfhard from Stranger Things, but I'm waiting to at least see a trailer to reserve judgment. Psycho - Yet another classic, no matter how many times I've seen this film I find Norman Bates equally fascinating and terrifying. The eerie similarity to the real-life serial killer Ed Gein, and the rumor that Bates was actually based on him makes it even more horrifying. The Shining - I think the older I get, the more I identify with Jack. When I was in Oregon I visited the hotel they used for the exterior shots for the film and I'm dying to go to the Stanley Hotel that the original story was based on. The Watcher in the Woods - This is definitely not the greatest movie I've ever seen, but it has a certain je ne sais quoi that I find endearing. It was made in the 80's when Disney was trying to target young adults. They recently remade it on Lifetime, but I recommend the original. Something Wicked This Way Comes - Another classic Disney film based on Ray Bradbury's novel of the same name, this movie has such a beautiful aesthetic (some of it was filmed in Vermont) and while it definitely has a spooky vibe, it's okay for kids or people who hate slasher films. Hocus Pocus - A staple at this time of year! I've gone on the walking tours of where they filmed in Salem. This movie is just a ton of fun. Tower of Terror - I don't know why I love this one so much but I do. Every now and then I find it online to rewatch and I enjoy it just as much now as I did when I was 7. Halloweentown - While I like a lot of the Disney Channel Original Movies that are Halloween-themed this one is probably my favorite. The Nightmare Before Christmas - As far as I'm concerned this film is appropriate from September - January 1, and it's another one that's a bundle of fun. Lore - This is the podcast that got me into podcasts. If you like history, magnificent storytelling, or spooky stories this is a podcast for you. Based on the premise that the scariest stories are true, episodes are released every other Monday, except during October when we get them every Monday and they're around 30 minutes. A lot of the stories are based in New England, so if you're from here you'll have a special appreciation for it. If podcasts aren't your thing but this sounds interesting to you the podcast also has an accompanying book and television series so you can enjoy the same stories as different forms of media. If you don't like longer podcasts, there is a sister podcast that has shorter stories called Aaron Mahnke's Cabinet of Curiosities. I personally wasn't a fan of this one because I like the more in-depth stories on Lore. I'm also interested in the newest of Aaron Mahnke's podcasts, Unobscured, that he has described as "Lore on steroids" and is a deep dive historical documentary series that is covering one topic over a season of 12 episodes starting with the Salem Witch Trials. The Addams Family - I'm referring to the show from the 60's here. Lighthearted and full of dark humor, this is a year-round favorite for me (like most of the things on this list). The X-Files - I grew up watching The X-Files, and I still think Fox Mulder is a babe. The show doesn't overtly scream Halloween, but it's just spooky enough for me to include it. Stranger Things - A good conspiracy theory and a love letter to some of my favorite 80's films, and I'm so here for it. I originally really wanted to hate Stranger Things since everyone was talking about it, but I'm glad I gave it a fair shot. I had heard of The Montauk Project and the surrounding conspiracy before the series came out and I 100% believe it. The storytelling, acting, directing, and camera work are superb. The amount of thought and care that is put into every little detail of the show doesn't go unnoticed by me. I'll give you an example in case you don't notice little details, there was an episode of Cheers playing in the background of an episode and I double checked the air date of that episode and it is indeed the episode that would have aired on that day in 1984. I just hope they don't mess up season 3. I even applied to be an extra and got several emails that they wanted to check my availability but they were super short notice and filming is in Atlanta. Supernatural - The early seasons of Supernatural were something special, and probably the reason the show has been on for so long. I highly recommend seasons 1-5 as that was where the story was originally supposed to end. There's still a good new episode every now and then, but I don't watch it religiously anymore. Although, I do revisit the old seasons on Netflix quite often. Are You Afraid of the Dark - Another show I grew up watching and one of the most iconic tv show openings for me. Some of the episodes are super creepy and some are a little campy. I'm curious about the movie they're making and if it will be directed toward the original audience of the show or younger kids. Tales from the Crypt - Like a more adult version of Are You Afraid of the Dark, some of the episodes are downright terrifying. You can find a lot of them on YouTube. I'd love to hear your Halloween favorites down in the comments! Hahah I thought it was best to include this category so there was something for everyone! I'm way too much of a wuss for most of these, but I do enjoy a good Halloweentown viewing every year! Aw! There's a pretty good mix here of not-so scary/gory things! Halloween is such a classic, and I say 100% yes to "The Shining" too! Anyway, Stranger Things is definitely my new favorite. It's just so fun to watch. Yes! I'm actually kind of excited for the new Halloween.